Upload an image of a Thai ID Card into the upload box, and all information on the card will be shown up. We DO NOT store images and any information on card. Once the file is completed process, it is immediately deleted. Upload an Thai ID card image similar to the following examples. 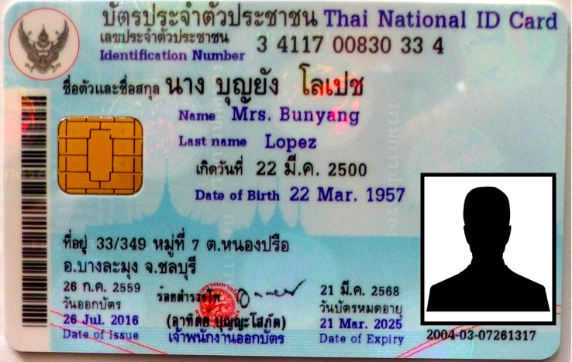 * This Thai ID card image obtained from the public Internet.